How does Accounts Receivable Financing Work? You provide products or services to another creditworthy business on terms. You send the invoice to your customer and send the invoice, along with any support documentation (i.e. purchase orders, contracts, etc.) to SouthStar Capital. SouthStar will verify the invoice then advance a portion of the invoice directly to you, typically 70 to 90 percent. Your customer then pays the invoice by ACH, wire transfer, or a check made out to your company, but sent SouthStar Capital’s address. SouthStar then sends you the invoice balance, less our fee. 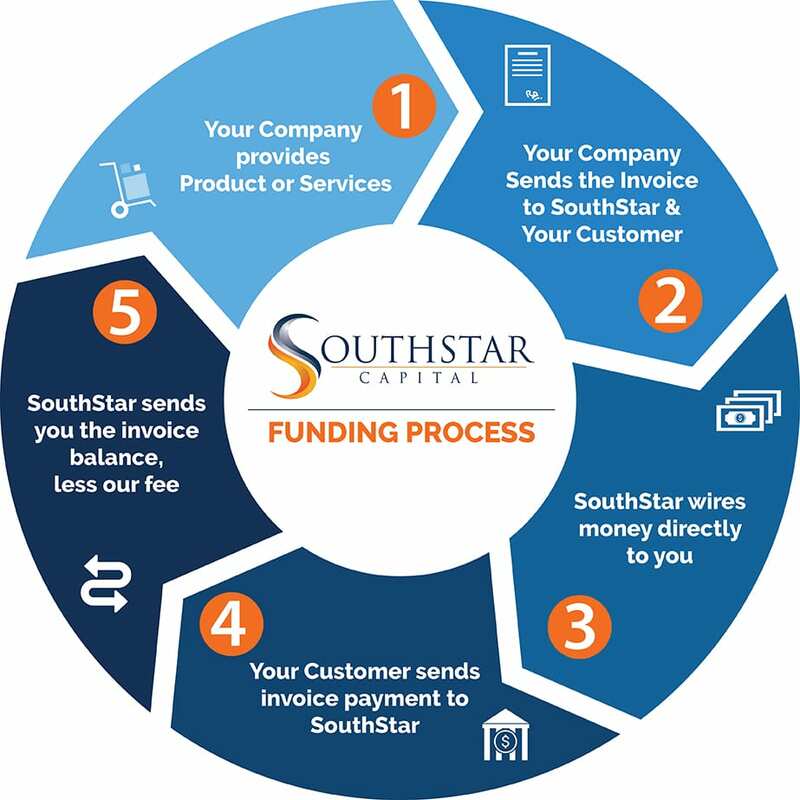 Contact us today to learn more about the SouthStar Funding Process!